To Quickly Receive A Indoor Concrete Quote in Sacramento, CA, Give Monsters Concrete A Call Today! Concrete Floors and Indoor Concrete in Sacramento When most people think about indoor concrete in Sacramento they think "cold" or "industrial". But concrete floors can be colored and designed in any variety of ways such as a polished sheen or stamped. 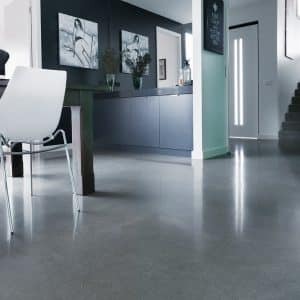 You might find that indoor concrete or concrete floors in %%city% will add an aesthetic appeal that can raise the beauty and value of your home. If you chose the right contractor. Call Monster's Concrete today for a free estimate on indoor concrete. Just like all other flooring materials, concrete has many benefits but it has many drawbacks as well. So it is very important to understand the bad and the good. Before stripping out all of your flooring and decide to go with a treated concrete call us at Monster's Concrete today for any questions on indoor concrete in Sacramento. Looking for indoor concrete in Sacramento? Giving a unique look to your home is a challenging task and demands dedicated research. The flooring makes an integral part of making your home unique and beautiful. Do you want to create a unique appeal to your home? Here’s how you can make your home only one of its kind by utilizing the numerous design possibilities of concrete floors in your home. 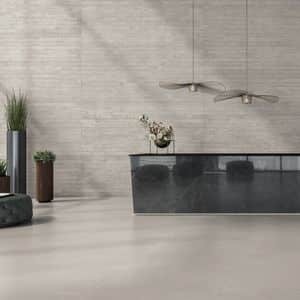 If you are doubtful of choosing concrete floors over other types, read on as here goes all you need to know about indoor concrete Sacramento CA. 1. Sustainability. Concrete Floors are a solid and sustainable option. In many cases we are able to use your existing concrete slab, meaning that you don't have to install new materials. We can sand it down polish it and seal it. It works great for a traditional looking kitchen or living room floor. When layered with throw rugs it can look quite amazing. 2. Indoor Concrete or Concrete flooring is low maintenance and only requires mopping a couple of times a month. We recommend installing baseboards around the concrete floor as well, it will add a little additional flare. 3. Economical. Fortunately, the cost of concrete flooring is very low. It doesn't cost much to polish plain gray slab, which will give it a gorgeous sheen. The concretes aggregates and subtle cracks will take on a natural look. 4. Longevity. Indoor Concrete Or polished concrete floors that are maintained can last for the life of the home. There are more elaborate finishes that cost a bit more. 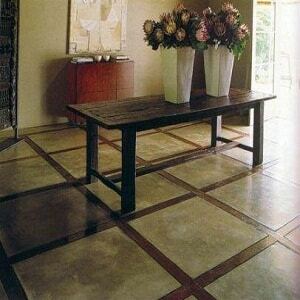 Staining Indoor concrete floors has been a very popular option for a long time. Different colors and a variety of application techniques can combine to provide a very unique finish with many subtle variations. Other decorative effects can be applied such as scoring in lined patterns which look very impressive with a high-gloss seal, it can even be made to look like limestone. Or if it's a wet sleek look that you are looking for. We can add an acrylic sealer to your indoor concrete in Sacramento. Your concrete floors will look beautiful. Concrete also looks gorgeous when done with stone veneer walls. It will actually bring out the rustic look of the walls. Concrete can be a great economical choice if you are unable to salvage your wood flooring. If you are thinking about indoor concrete in Sacramento whether it be polished or stained we are here to help. Make sure that when looking for a contractor to help with your concrete flooring in Sacramento make sure that you do your research. It is always a good idea to make sure that you hire a licensed contractor. If a contractor isn't willing to go through the proper process to become licensed and bonded than how can you trust him to perform work on one of your most important assets. WHY CONCRETE INDOORS MAKES A GREAT CHOICE IN Sacramento? Usually, concrete floors may give you the picture of gray shades and cool sensation. It is not the truth always as there are plenty of flexible designs and colors possible with concrete indoors. In fact, concrete is a wonderful option to make your indoors amazingly beautiful. The experimentation of different styles and patterns and possibility of numerous color combinations gives more creative opportunities for the interior designer as well as the homeowner, when they choose concrete indoors. Decorative engraving, innovative textures, creative graphics, etc. can add to the visual glory. Other than the elegant visual appearance, the concrete indoors will always give natural warmth for the home dwellers. The concrete has the ability to absorb heat, which provides a cooling effect inside home. Also, it has resistance to chemical elements. Concrete floors are certainly a long time investment. Moreover, the cost of construction and maintenance is pretty low when compared with other floor types, which is yet another reason for attraction towards concrete indoors. It is always easy to take care of the concrete indoors for a usual mopping along with washing it with soapy water once a while is enough to keep the floor clean and glossy. The durability of the concrete floors can be extended to many decades, if it is managed thoroughly and polished once in five years. One of the primary concerns of concrete indoors is that you need professionals of high expertise or the whole effort may end up in a mess. You can always get in touch with us to know more about the numerous design possibilities and floor options in Sacramento indoor concrete. We have been in the industry for long and completed beautiful concrete indoors in Sacramento area by now. We, Monsters Concrete Sacramento, have been serving hundreds of clients for any concrete requirements for many years now. We provide all kinds of concrete services from concrete removal to concrete installation, concrete repair & maintenance, outdoor concrete floors, and also have a strong reputation among indoor concrete Sacramento contractors. We top the list of dependable concrete indoor Sacramento contractors, for the timely completion of work and the perfection involved in the work done. When it comes to the aesthetics part of indoor concrete Sacramento CA, we are an oft-recommended company. Concrete floor was always a preferred choice for driveways and walkways, but designers have started using it indoors too, thanks to the design and color flexibility offered by it. Indeed, concrete floor provides stylish as well as elegant appeal to your sweet home, provided the design, texture and color are handpicked perfectly. Waterproof sealants are applied as part of the finishing job on the concrete floors to add to its durability and stability. As a further step, you can always go for elaborated finishing touches to add to the shining glow of the floor. Acrylic sealers, high-gloss sealers, decorative materials can be used on the floor to enhance the glossy appeal. Why Monsters Concrete Sacramento is special? When it comes to interior designing works, it requires experts in creativity and professional knowledge, or else the work may not give the desired benefits. And it may rarely meet the expectations of the homeowner. Furthermore, the indoor works need to be carried out effectively or it will never give the desired output. Also, chances are there that it may turn a waste of money. No need to mention the concrete indoors needs contractors who have aesthetic sense and dedication towards the work. Normally the home owner will have high expectations during construction of home since they spend a great part of their savings on it. That is why we value each penny spent on the property and give our clients what they expect from the spending. Monsters Concrete Sacramento, a company headquartered in Sacramento, is committed to help residents of Sacramento with all kinds of concrete requirements. Our team with its commitment towards the works they do has earned us a strong reputation over the Sacramento area, and they are passionate towards what they do. We have people up to fifty years of experience in the concrete construction sector, which make us proud of the expertise of our team. Starting from the planning stage to the final level, the team will be dedicated to give you the best of services in making the floor in your home the way you want it to be. Coming to the affordability factor, there are no additional labor costs, nor do we put any hidden charges, when you want incredible services on Sacramento concrete indoor services from us. We have been reviewed as the most affordable and reliable company for any of your concrete related services. Customer Satisfaction is given utmost importance, here, at, Monsters Concrete Sacramento. You can be guaranteed of timely work completion. We never compromise on structural quality or aesthetic appeal of the space, as we look for long-time relationship with our clients by making them satisfied with the job we do. When you think of concrete indoor Sacramento CA, we make a perfect choice. Call us anytime! Home improvement, including concrete indoors, needs experts to do the job, or it may lack perfection. That explains the reason why Monsters Concrete Sacramento makes a great choice for concrete indoor Sacramento CA. Be assured of timely completion, job perfection, and unique design possibilities, when you hire our services in indoor concrete Sacramento. Call is anytime to know our services, be it commercial or residential properties. All you need to do is write to us at inquire@monstersconcrete.com, or dial us at 916-237-0180, to get the best of services and designs in concrete indoor Sacramento CA.